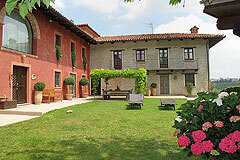 Looking for your dream agriturismo business in Piedmont Italy? Piedmont Property offers a selective range of traditional Piemonte houses, vineyards, townhouses, villas and businesses for sale all within the beautiful scenery and rich culture of Piemonte (Piedmont) Italy. Need help? View our Buying Process, Why buy in Piemonte, and What to buy guides. Piedmont Property are a professional, experienced team based in Alba which includes licensed estate agents with over 32 years experience in real estate in Piemonte, an accredited translator and English mother tongue staff to accompany you on property viewings. We are here to help and guide you with every step of the buying process and provide valuable support after your purchase. See Our Services. 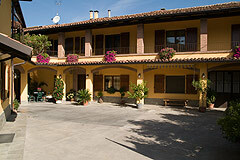 We have a large database of clients waiting to buy houses in Piemonte. We currently require rustici and beautiful restored homes in the areas of Monforte, Barolo, Neive and Santo Stefano Belbo. Please contact us now if you have a property to sell in these areas. Piedmont is an ideal holiday destination. View our range of holiday rental properties. We also encourage you to register with us. Avete una casa, una villa, un rustico in Piemonte che volete vendere? Noi siamo specialisti nel mercato immobiliare estero. Non esitate a contattarci. Huis te koop in Piemonte italie? View our full range of Piedmont Properties, including Italian farmhouses, Italian properties with vineyards and Agriturismo.